Admitting you are struggling with addiction is the first step to long-term recovery. Telling your family that you have an addiction and need help can be extremely difficult. Addiction has a stigma in our society and admitting you are addicted to drugs or alcohol can lead to shame and embarrassment. Explain to your family that you will need encouragement, positive reinforcement, and their support to help in your recovery. Remind family that you are accepting responsibility, will do whatever it takes to attain sobriety, and are seeking professional help. People who do not have a problem with addiction have a hard time understanding what you are going through. Loved ones can also be skeptical about your willingness to live a sober life. Let your family know that you will work on repairing your relationships and invite them to go to family therapy or counseling with you. Keep communication open and let family members know you are serious about recovery and will follow through. When children are involved, listen to them and answer their questions in an age-appropriate manner. Explain that addiction is an illness and talk to them honestly and openly. It is crucial to listen to children and let them know they are a huge part of your life. If you were around your family on a regular basis while you were under the influence, chances are, they already know about your addiction. Take the time to prepare what you are going to say ahead of time. The conversation will be emotional, so planning on what to say guides you to say everything you want to. Tell your family your plans to get help in treatment and your desire to live substance free. When loved ones see you being honest and humble, it is more likely they will be supportive and help you in and out of rehab. 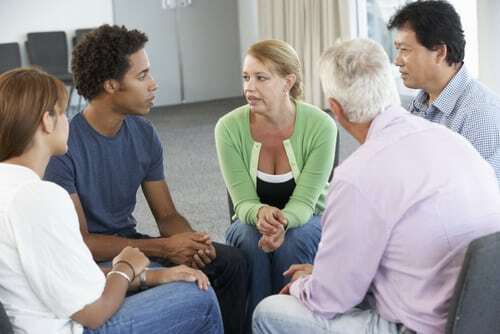 The conversation you have with your family about your addiction is difficult but necessary for your progress in recovery. If you or a loved one is struggling with addiction, do not wait. Get help today. Cypress Lakes Lodge specializes in holistic treatment for addiction and addictive behaviors and integrates natural healing for the mind, body, and spirit. The staff at Cypress Lakes Lodge is compassionate, understanding, and wants every client to have a successful recovery. Take the first step to live a healthy, enjoyable, and substance-free life.